Charter yachts who plan to participate in the 2018 Newport Charter Yacht Show in Newport, RI have two weeks left to save 20% on dockage and registrations fees. The charter show, which features luxury sailing and motor vessels available for charter in New England, is open to charter yacht brokers, agents and industry professionals. The show will be held at Newport Shipyard in Newport, Rhode Island June 18-21, 2018 and will once again be presented by Helly Hansen. "We anticipate another successful charter yacht show and encourage yachts to register early to take advantage of our spring discount," said Eli Dana, general manager of Newport Shipyard. "2018 looks to be another successful year here in Newport with many great events happening including the Volvo Ocean Race stopover in May, the Newport Bermuda Race and Charter Show in June and the Candy Store Cup in July, just to name a few. The Charter Show helps us kick off the summer here at the Shipyard and we truly enjoy hosting these yachts, captains, crew, brokers, industry professionals and sponsors. It's great to have Newport Shipyard bustling with 400+ people over 4 days coming to see these yachts and participate in the many social events and seminars we organize throughout the show," continued Dana. "We are very happy to have many returning sponsors in 2018 including Helly Hansen, who will once again be the title sponsor for the third straight year. We are also happy to have Sea Hawk Paints, KVH Industries, Ward's Marine Electric, Bank RI, ISS GMT Global Marine Travel, and Bridge Liquors also all returning." Yachts who register before March 15, 2018 receive 20% off dockage and registration fees. "The crew competitions are definitely a highlight of the Charter Show and last year was one of the best with 8 chefs competing in the Best Charter Yacht Chef competition," said Kitty McGowan of the U.S. Superyacht Association who is a former yacht chef and who served as a judge. "It was a fantastic turnout and the chefs and interior crew really impressed the judges by taking all of the competitions seriously with some very creative and impressive food, beverages and table décor. Almost every yacht participated in at least one competition which made it fun and exciting for everyone," McGowan said. "The best charter yacht chef panel of judges were impressed with all the entries and although the competition was close, Ian Gabbe, chef of the 116' yacht Renaissance, really shined with his Wagyu Strip Steak which was served on a bed of parsnip purée flavored with lovage and drizzled with a chocolate mint flavored Bordelaise sauce. It was incredible," McGowan concluded. In addition to the chef competition, six yachts competed in the Tablescaping competition, fourteen yachts participated in the Signature Cocktail competition, which were sponsored by ISS GMT and Denison Yacht Sales. Ten yachts participated in the Designer Water Competition, which is hosted and organized by the CYBA, AYCA and IYBA; and eight captains also participated in the Captain's Drone Challenge which was organized by Cloud City Drones. "We are proud to once again be the presenting sponsor of the Newport Charter Yacht Show," said Jay Lasky, owner of Helly Hansen Newport. "The Shipyard is a great venue for events like this and we love seeing yacht crew outfitted in our gear," Lasky said. "Last year's event was filled with many fun social gatherings including the Wednesday evening yacht hop which nearly every yacht participated in," Lasky said. "It's a great opportunity for my team and I to network with captains, crew, brokers, and other industry professionals. We look forward to this year's show in June," Lasky concluded. 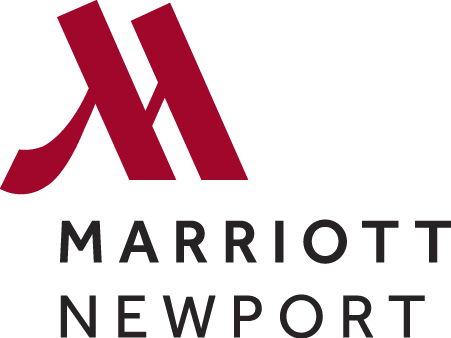 Newport Shipyard is the owner and producer of the Newport Charter Yacht Show. In 2018, Newport Shipyard will also be the host site for the Newport Bermuda Race Crew Party on June 13; the Oliver Hazard Perry Gala on June 29; the Candy Store Cup from July 26-28; and the Newport Yacht Rendezvous benefitting the Boys & Girls Club of Newport County on August 10.